I love technology, and I also love to hangout with my family and friends in my free time. I want to make aware of eCommerce system to everyone from tea shop owners to mall owners. If you have any idea, or you want to make your dream true contact me. Codilar is a group of Magento Certified Developers, Solution specialists and Creative designers. We provide Full-Fledged eCommerce Solution with Magento. PayinGuest.com is a website for finding best Paying Guest accommodation in and aroung Bangalore, We provide a complete details of Paying Guest for both gents and ladies and we are also working to expand our services in other major cities in India. RetailOn is a group of 100+ eCommerce Evangelists & 50+ Partners. We are specialized in Magento, PrestaShop & BigCommerce implementations. Worked on project www.9gardens.com - Online store for all your gardening needs.We provide with a large variety of seeds starting from fruits, vegetables, ornamental plants, variety of tools. The “LIBRARY MANAGEMENT SYSTEM” Developed in .Net and SQL Server as a backend. It is very useful and helpful for library activities. 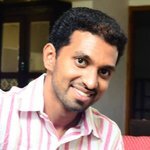 My project aims to develop software which helps to improve the way of functioning of the library by computerizing its basic functions. The “Customer Hub (CRM)” Developed in .Net and SQL Server as a backend. It is very useful windows based application to keep relationships with customers in an organization. GitHub activities using Casey Scarborough's GitHub Activity Stream widget. Arshad is versatile Magento Developer; few and elite developers in the industry. Would be an asset to any organisation. His patience and perseverance will take him to higher limit. All the very best my friend. Good luck and keep it up.